Selecting the right type of wood for your new exterior wood doors can play a significant role in your overall happiness once they are installed. You have plenty of options to choose from when it comes to types of wood for your front doors. Finding the one that is right for you largely comes down to personal preference. Of course, you don’t have to be limited to just one type of wood. Some of the most attractive wooden front doors use a mixture of two or more types of woods. The different colors and grains of these woods can create an intriguing contrast that will draw attention to your doors. Mahogany: This wood is frequently used for furniture such as desks and chairs but is also a popular choice for front doors. It’s rich and dark natural color make it a sumptuous choice for adding drama to an entryway. It also easily accepts stains, making it easy to change its look. Knotty Alder: This hardwood is frequently used for exterior doors because it has a strong look with bold grains and attractive swirls. Knotty alder in particular has a rustic look which is ideal for homeowners who are want a natural look for their entryways. Douglas Fir: This is a smooth and soft wood that tends to have an even and straight grain. It is light in appearance, with knots that make beautiful swirls throughout the door. As it is exposed to light, its color will get redden. 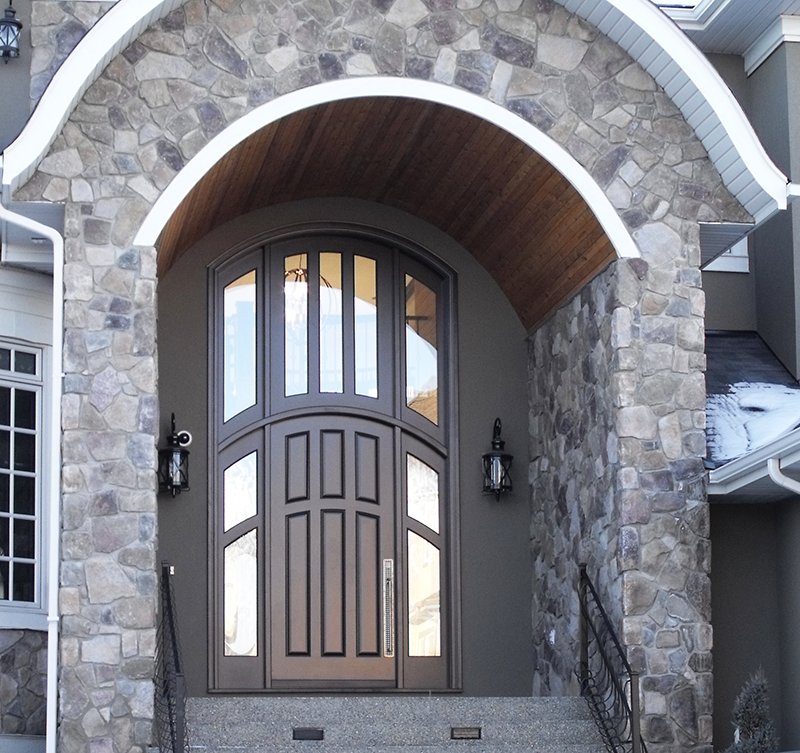 It’s a great choice for front doors because of its look and because it is very resistant to damages from weather. ETO Doors has been a trusted name for residential and commercial doors since 2002. Their website has a large collection of high quality doors available for purchase at low prices.